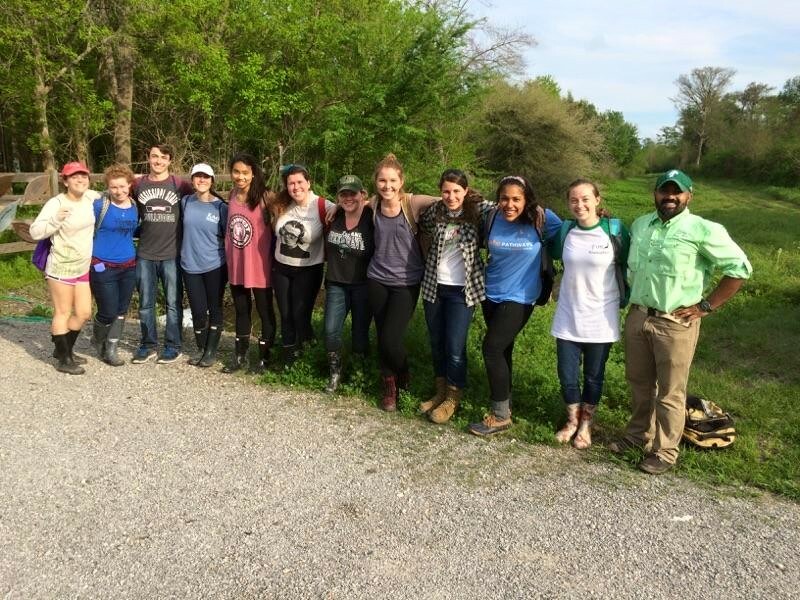 Fieldwork and Community Service Learning in New Orleans and the Mississippi River Delta. This is a personal story, and in it, I write about why community service learning (CSL) matters to me and how my experiences in the discipline have fared since starting CSL projects in 2014. Herein, I write about why CSL is an important pedagogical tool for a holistic university education, and why archaeology, which by its very nature is embedded within descendant communities and local stake holders, can be easily integrated into CSL projects. Two recent events and outcomes from CSL have precipitated and inspired me to put pen to paper. One event was a benefit concert organized by a student for my community partners and another was a particularly successful service day with another community partner and collaborator. Through service learning activities I organized for my classes and my community partners, several successful and positive outcomes have happened, and thats a good thing! Some of these events will have an impact for only a few months, while others I hope, will have an impact for generations. I hope that my story of service leaning inspires more people to become active in this pedagogy because I think it is an essential tool in teaching civic-mindedness and the value of anthropology and archaeology. This is an important lesson if we are to teach our students how to be activists, educators, and professionals who value the rights of all people. My journey into CSL began in high school. I was raised in Charlotte, North Carolina and attended high school first in Charlotte and then at the North Carolina School for Science and Mathematics. Both required volunteer work as a requisite for graduation, and consequently, I split my time between various volunteer related activities, from hospitals to soup kitchens to festivals. To be clear, volunteer work is not service learning; namely, the distinction entails the rewards and educational experiences both parties obtain through the collaboration. Service learning should be embedded within the content of the course and have outcomes relevant to the educational mission of the class and school. As a teenager, I never questioned why I was required to do this work, but rather attributed it to citizenry and fodder for college applications. Volunteerism taught me the value of working with communities and local stake holders and it brought me to CSL. My archaeological fieldwork takes place in the Mississippi Delta, a roughly triangular piece of floodplain between Vicksburg, Mississippi, and Memphis, Tennessee. Poverty and insufficient educational opportunities characterize this agrarian landscape, and after spending several summers working at archaeological sites in the Delta, I wanted to contribute more to the local community than simply spend money at the local grocery store. Lacking a framework for how to serve others, I reached out to Tulane University’s Center for Public Service (CPS). Through a semester-long seminar at CPS and with the help of friends in the Delta, I established a relationship with a community partner, the Griot Youth Program, which I will discuss in more detail later. Although finding my particular community partner was mostly serendipitous, other individuals who are seeking such CSL partners may find what they are looking for by approaching the endeavor with eyes and minds wide open. Simply put, look for a collaborator and they just might appear. Maybe not… but maybe so? At Tulane, I teach Introduction to Environmental Studies with a primarily Louisiana-focused pedagogy. I teach about the development of the modern Mississippi River levee system, anthropogenic forcing of coastal subsidence, sea level rise, and the erosion and loss of Louisiana’s fertile coastal marshes. In the context of this course, I decided that my students should participate in some kind of service that connects them to the landscapes they were studying. Tulane pulls mostly from other parts of the country and the majority of my students are generally not from the area. One day while driving to school, I heard the director of a non-profit, the Woodlands Conservancy¸ on the local NPR affiliate. Her radio address was directly aimed at soliciting volunteers to help with research and conservations efforts including bird banding, forest inventory, and invasive species mitigation. The property they manage is the last stand of bottomland hardwood forest between New Orleans and the Gulf of Mexico. Coupled with sea-level rise, coastal subsidence, and marshland erosion, the gulf is getting ever closer to the city, and the last bit of protection New Orleans has, is protected by the Woodlands Conservancy. I called the director later that day and after a few coffees and conversations, I found myself with a community partner. What was missing was the service. What exactly could we as a class provide for her and the Woodlands? Luckily another team of scholars had already initiated a project at the Woodlands and I was able to join up with them. Sean Anderson and his students at Cal. State Channel Islands, John Lambrinos from Oregon State, and Tom Huggins at UCLA, all part of an ecological survey team, had all started a tree inventory and invasive species documentation project at the Woodlands. Much like archaeological survey, tree and invasive species survey entails walking transects through the woods and looking up at trees instead of looking down at the ground and digging shovel tests. As part of the pedagogical structure of the service, I paired my students with the students from California and Oregon, who were all older and dedicated environmental science majors. Although all the students received instruction from the “professors” during the service days, the most important instruction and guidance came from older students interacting with my freshman and sophomores. In guided reflection and discussion, many of my students noted that interacting with passionate and motivated senior students was inspirational and motivating. Working at Woodlands and conducting ecological survey is not necessarily a part of my wheelhouse, and consequently, developing relationships with collaborators and scientists who are skilled at such work was absolutely necessary. Perhaps this is an obvious point here, but developing partnerships with community partners who you can be comfortable with is fairly important. As such, they can also become your friends, and my relationship with Sean, Tom, and John, as well as the director of the Woodlands has been incredibly enjoyable and rewarding. In addition, our work will help to preserve a forest that is instrumental to the long-term health and resiliency of New Orleans. Here our work will have an impact for generations and my students will always be able to look back on the contributions they made. Students from my Environmental Studies class after a forest inventory at Woodlands. Carson is located in the north Mississippi Delta, a place characterized by extreme poverty and a lack of access to good education. Some might argue that final point and certainly there are many dedicated individuals struggling to provide a good education to the citizens of Mississippi – nevertheless, these opportunities are hard to find and not available to everyone. I have struggled with how I feel about working in a place without giving back in some way, shape, or form. I realize and understand my position of privilege here. I can’t do anything about that though, and consequently, I bring students to the field every summer and we march forward with our service learning and collaborations. The road to collaboration and to service is complex and not often without ambivalence and mixed feelings – I can’t say its easy, but, it is rewarding. After making the decision to work with community members in Clarksdale, the challenge was to find someone to work with. 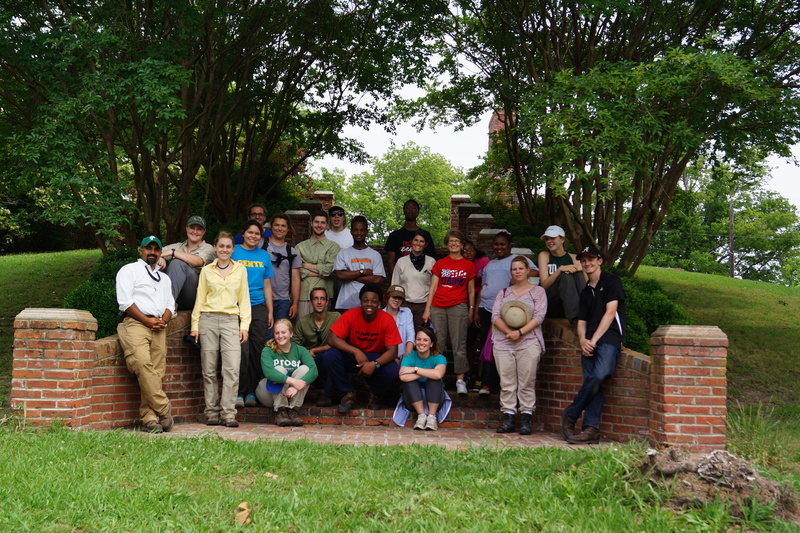 Much like my experience finding a community partner for my environmental studies class, finding a community partner for the Tulane archaeological field school was also a serendipitous process. We work with the Griot Youth Program, which is a non-profit dedicated to providing after-school programming and arts education to underprivileged youth. However, unlike the work we do at the Woodlands, our service partnership at Carson and in Clarksdale with the Griot Youth Program is inchoate and amorphous, consisting of activities that tack back and forth between fieldwork, arts education, and supporting their efforts at providing an adequate education to the underserved youth of the Delta. At Woodlands our work is directly relevant to the content of the course, but at Carson and during the field school, we collaborate in activities that are not necessarily archaeological but still directly benefit local stakeholders. Establishing the proper service relationship is difficult, especially considering the specialized nature of an archaeological field program. In seeking a community a partner, I wanted to assist in any arena I could and although our work together is not archaeological, I believe it is valuable for my students to engage in this kind of service learning. I might argue that just the experience is important, both for the college and high school students and it expands their knowledge and familiarity with other people and of other places. Students from the Griot Youth Program came out to Carson to participate in a collaborative field day, where my students worked with them in various excavation contexts to teach them about the archaeological heritage of the site and region. While it was important for Griot Youth students to learn a little archaeology and my students to learn how to talk about archaeology, the bigger idea here was just to get two completely different sets of individuals interacting and working together on a shared goal. The collaborative field day was a moderate success and I plan to rethink how I do this in the future. Frankly, it is difficult to get high school students who know very little about native prehistory to enjoy and engage in excavations on a 100-degree day. Some of the Griot kids had a great time and I think it was a good first venture into this service work. Later in the summer, we helped the Griot students with their academic programming: we attended their summer talent concert and we helped with a day camp focused on arts education and the construction of garden boxes. In addition to teaching the arts, Griot also teaches sustainable farming and permaculture techniques. In the summer of 2014, we helped to build these garden boxes, and the Griot program has used them for a variety of projects since then. While some of my students participated in building boxes, others helped with an arts camp for younger, middle school-aged children. Included activities were painting, dancing, and arts instruction. While none of these activities were necessarily archaeological, I know my students and I enjoyed the experience of working in our adopted community. Tulane and Griot students dancing! 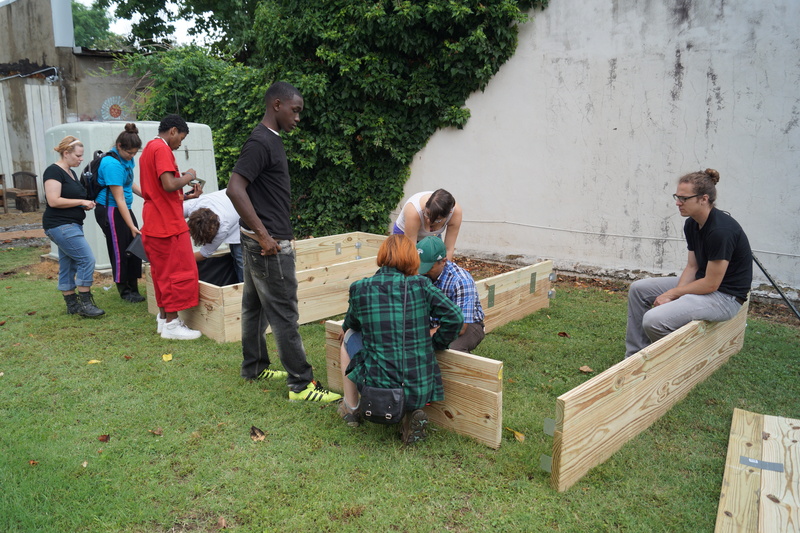 Building garden boxes with the Griot Youth program. 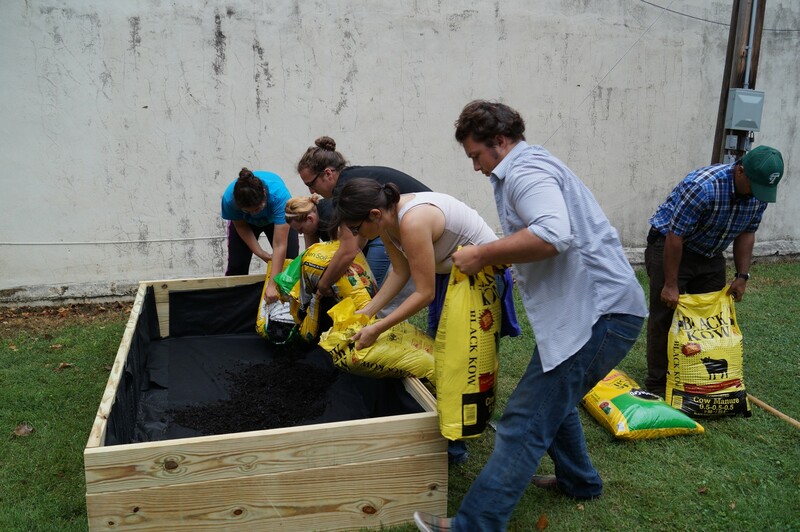 Tulane and Griot students building garden boxes. One of the best outcomes of this service work was a benefit concert organized by one of my students a few months later. Jackson Hardy, a musician and liberal arts major at Tulane, really took to the service experience and the arts education component of Griot. Motivated by his own interests, Jackson came to me a few months after the field school wanting to organize a fundraiser for the Griot program. I couldn’t have been prouder! And he did it, and it was a success! 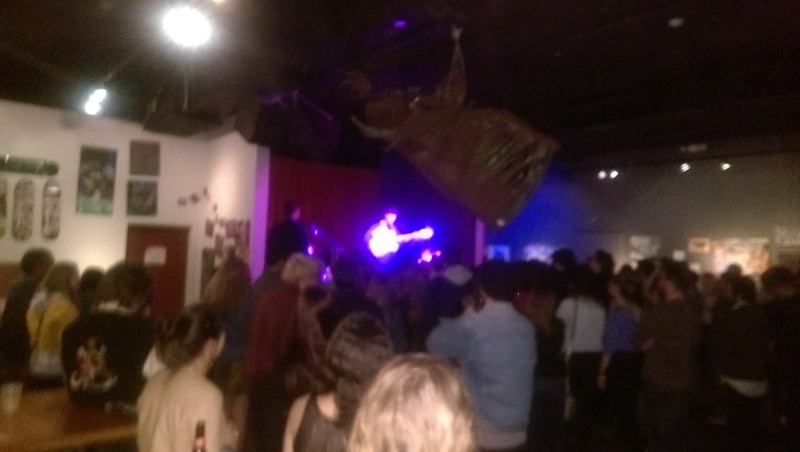 About 6 months later, we hosted a benefit concert at the BeakNIK in New Orleans, with 4 live bands, a comedian, and some performances by the Griot Youth Program blues band. We raised a huge amount of money to support their programming and I’m thrilled with this outcome! Benefit concert for the Griot Youth Program. This concert was organized by one of my students after a service learning experience. As an archaeologist and researcher, Clarksdale is my community and New Orleans is my community. This is a phenomenon every archaeologist knows well: we live and work within local communities and with local people and stake holders (individuals who have a vested interest in their communities). While we can begin to feel woven into these communities over time, service learning makes this exchange purposeful and explicit. Service learning also makes students responsible and active agents in their own learning and in developing their own engaged learning experiences. These benefits are significant and I think service learning does a lot to create civic-minded students who understanding the responsibilities of their education. The adage “with great power comes great responsibility” rings quite true to me here – my students are privileged enough to receive a first-rate education and I think they should be using that knowledge for the good of others, as well as for themselves. Perhaps this is paternalistic and perhaps I am moralizing when I should be teaching – I don’t know but I am following a path I think to be true. I want to train educators, activists, and innovators. I want my students to value social justice and I want them to believe in equality and fairness. I look to service learning to realize this ideal. I do not think I could continue to do research and to work in New Orleans and/or in Clarksdale without becoming involved in those communities. I believe that if I have the ability to make a difference, then that is what I should be doing. In addition, I should be teaching my students that they have the ability to make a difference. Through our work at Woodlands and our collaborations with the Griot Youth program, we study the environment, archaeology, and engage in service learning through a variety of activities. These activities have made my students active in their own learning by encouraging them to become researchers and teachers themselves. I hope by doing this work, they choose careers that will allow them to make a difference in the lives of others and to become individuals who value the rights of all people, regardless of their status or wealth. Important piece on community service learning and archaeology in the Mississippi Delta by Jayur Mehta.